Collect anonymous data with Google Analytics to help us learn which parts of the website are the most useful. Prevent this box from annoying you for a while once you've agreed to dismiss it. By using this site, you are agreeing to the use of these cookies. Mr Emmanuel has been a consultant obstetrician and gynaecologist since 2006, having trained in London and the South West. He obtained his Membership of the Royal College of Obstetrician and Gynaecologists in 2003, and more recently obtained his Membership of the Royal College of General Practitioners in 2016. Mr Emmanuel is one of the few specialists in obstetrics and gynaecology in the country who has dual accreditation from the Royal Colleges (CCT - Completion of Core Training). During his early training in obstetrics and gynaecology he worked at some of London's most prestigious hospitals including Queen Charlottes and the Royal Free Hospitals before embarking on specialist registrar training in the South West region including teaching hospitals in Southampton, Poole, Bournemouth, Portsmouth and Swindon. During training, Mr Emmanuel undertook a fellowship of advanced training in London and Australia in the field of laparoscopic surgery, early pregnancy assessment, fertility surgery and hysteroscopic uterine surgery. On completion of training, Mr Emmanuel was appointed as a consultant obstetrician and gynaecologist in Birmingham in 2007 where he was lead for laparoscopic surgery, endometriosis, emergency gynaecology and early pregnancy. 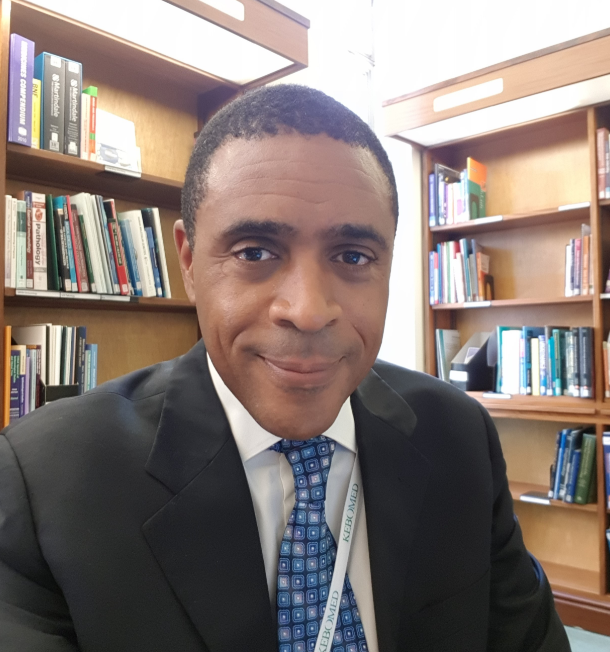 After spending four years in Birmingham developing a referral centre for advanced endometriosis surgery, Mr Emmanuel was invited to work at Benenden Hospital and took in the lead for hysteroscopic (keyhole) womb surgery, laparoscopic (abdominal keyhole) surgery and endometriosis. He was also lead for the Benenden Fertility Centre and undertook all aspects of fertility care. Since this time he has built on his experience and undertaken travelling clinical fellowships to Germany to further learn about advanced laparoscopic surgical techniques and has worked with nationally recognised experts in the fields of endometriosis and pelvic floor surgery. He has also been HFEA Person Responsible for a fertility centre, and has ran his own private gynaecology ultrasound scan services for women wanting pregnancy reassurance and screening for gynaecological problems including fibroids, ovarian cysts, cancer screening, and pelvic pain.